Tarragona is located on the Mediterranean and has over 2,500 years of history. Like many other cities in the 19th century, it began to grow out of the limits imposed upon it by its city walls, which had encircled it almost from the time of its foundation and had conditioned its growth and appearance, making integration more difficult in a single population nucleus. Besides the predominance of clerical revenue and the servitudes imposed by the actions of war, it gradually accumulated commercial activities generated by the consolidation of its port, and these received a new boost when the train line arrived in the city, as well as the introduction of public administration delegations because of its status as a provincial capital. A small middle class was also formed and this was decisive in helping the city to grow. The backbone of the city was its new Rambla, or boulevard, from which streets led towards the sea. The building of Tarragona's new area outside its city walls lasted until quite well into the 20th century, although financial limitations at the time meant that its common feature was the predominance of austerity. 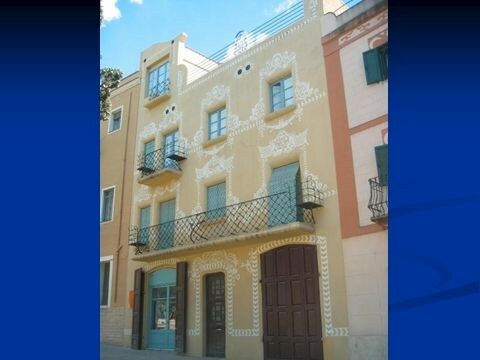 Modernista architecture developed in Tarragona at the beginning of the 20th century, thanks to a certain economic reactivation and within the ideological context of the Renaixença, or Catalan renaissance. 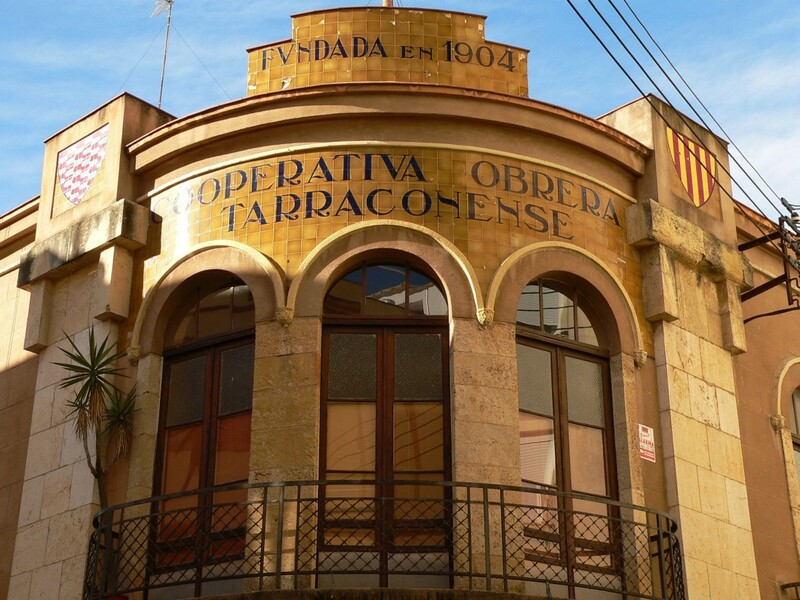 The Associació Catalanista de Tarragona (Catalan Nationalist Association of Tarragona) was founded in 1900 and was significantly presided over by the Modernista architect Lluís Domènech i Montaner, who has one work in Tarragona, the tomb of Jaume I, commissioned in 1906 and installed in the courtyard of the Tarragona City Council in 1992. The city's abattoir was opened in 1902, a Modernista building that today houses the rectorate for the Rovira i Virgili University and designed by Josep Maria Pujol de Barberà, a prolific architect of Modernista works in Tarragona. Pujol de Barberà designed the Cases Ripoll (1913), located in a privileged location with views to the sea, the Cooperativa Obrera Tarraconense (Tarragona Workers Cooperative, 1916-18), Casa Musolas (1914), Casa Bofarull (1920) and "La Chartreuse" (1903). 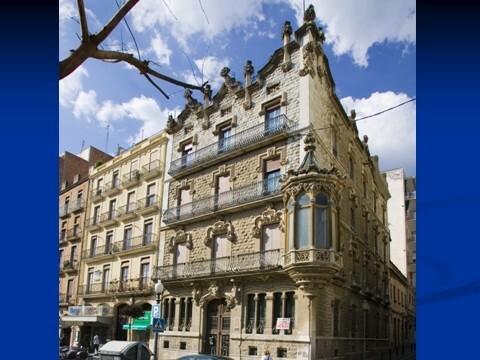 On the Rambla Nova, one can admire Casa Salas (1907), an extraordinary building by Ramon Salas Ricomà, who also designed the city's bullring and other representative civic structures, such as the monument to Roger de Llúria and the railing for the Balcó del Mediterrani (Mediterranean Balcony, 1889). 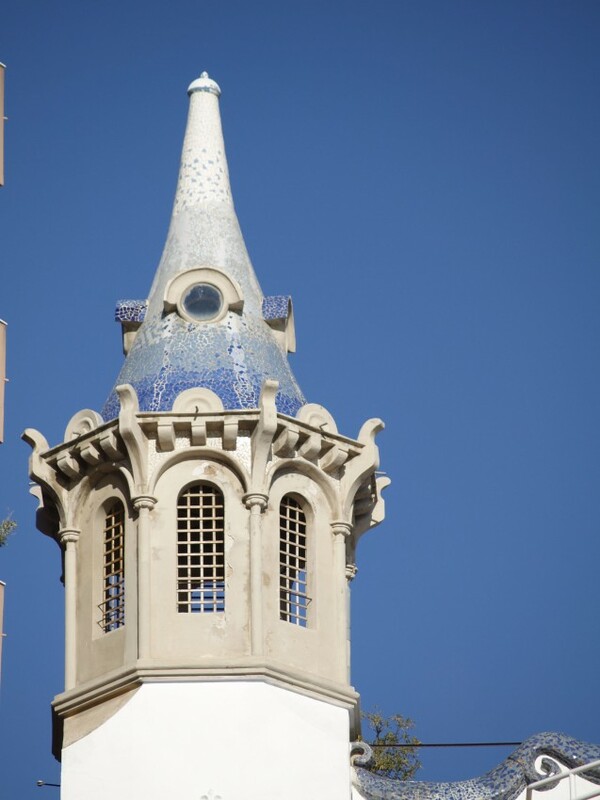 Special mention must be made of Josep Maria Jujol Gibert, a student and collaborator of Antoni Gaudí. His genius is responsible for Casa Ximenis (1914), highlighted by the manner in which he placed openings in the façade, the originality of the balcony railings, which incorporate some seating on the side, and the sgraffito work decorating the façade. He also has some other minor work in the city, such as the side chapel for the church of Sant Francesc and the alcove in the monastery of the Carmelite friars (1919). But his creativity is truly on display in the Metropol Theatre (1908-10), which is housed in a difficult basement space that was brilliantly resolved by using unique forms and chambers inspired by the shape of a boat. Finally, Tarragona also has a work designed by a young Antoni Gaudí, the altar for the church of Nostra Senyora del Sagrat Cor (1910).